Имате въпрос към World Youth Hotel? 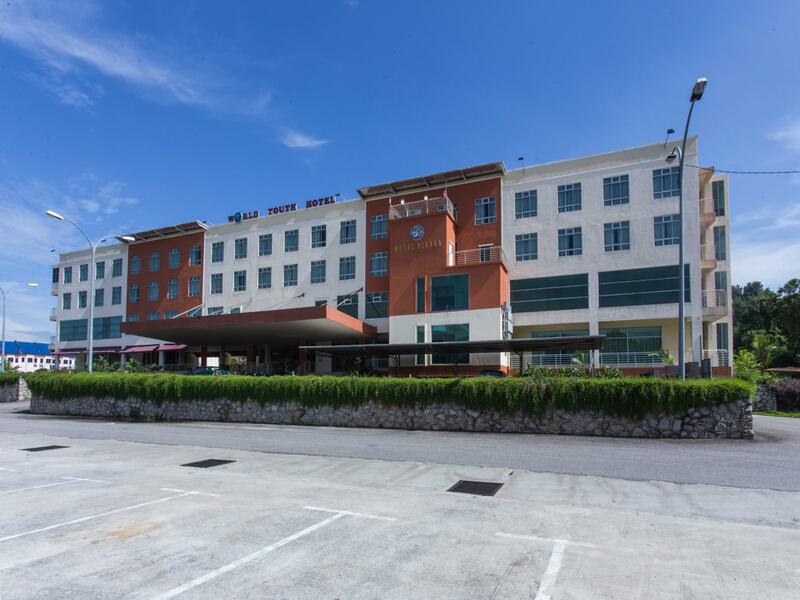 Сгушен в сърцето на Ayer Keroh, World Youth Hotel е идеалното място, от което можете да започнете Вашето приключение в Малака. Центърът на града е на около 12 km, а до летището може да се стигне до 120 минути. С удобното си местоположение хотелът предлага лесен достъп до всички градски забележителности, които задължително трябва да се видят. В World Youth Hotel отличното обслужване и достъпните съоръжения допринасят за Вашия незабравим престой. Безплатен WiFi достъп във всички стаи, 24-часова охрана, ежедневно почистване, таксиметрови услуги, 24-часова рецепция са само част от нещата, които отличават World Youth Hotel от останалите хотели в града. Дизайнът на хотела е съобразен с най-високите изисквания за удобство и комфорт, осигурявани от съоръжения достъпни в някои стаи като телевизор с плосък екран, безжичен интернет достъп (безплатен), климатик, бюро, минибар. Пълният списък от съоръжения за отдих е достъпен в хотела и включва голф игрище (в радиус от 3 км), градина. World Youth Hotel е добър избор за всички посетители на Малака, защото предлага спокойствие и безпроблемен престой. Air-conditioning is slow to cool my room. already make reservation using agoda but front desk can't detect my reservation. Need to make new reservation and payment. Cheaper in price and very convenient in location which is very easy to go any where (by car). Near to PLUS toll entrance and exit. I stayed here for an event at Dataran Pahlawan and it is very convenience to us. Decent hotel, facilities provided are acceptable, and clean. 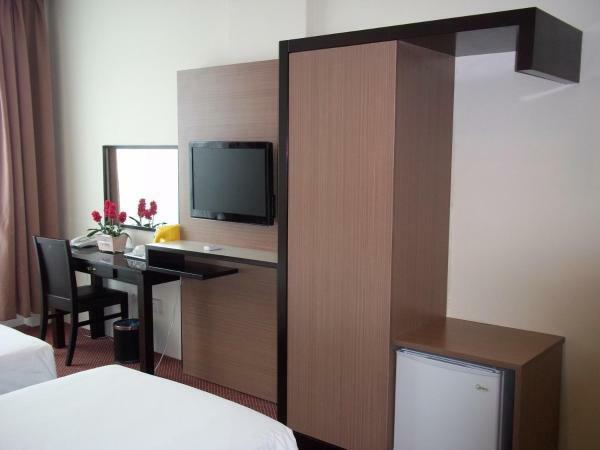 Near to McD and Mydin, Suitable for short stay and don't expect a 5 star facilities for what you are paying. Housekeeping did not do a proper job. While we were still sleeping at 10am, the housekeeping kept on knocking our door many times and the next day the housekeeping still did the same thing, kept on knocking many times, what if there wasn't anyone inside the room? Will they still keeping on knocking the door many times? The hotel is near to tol and making us easy to drive out to another place. I had to book this hotel as it is recommended by people. However it is not up to my expectation where similar or cheaper hotel is way better than this. The only good point is the friendly staff. The hotel is very run down with a lot of broken utilities. The internet does not work most of the time and hot water is available in common area. I found that it is a bit run down hotel although it is my second visit due to room availability. The free wifi does not or mostly does not work most of the time. I only like this place due to friendly staff and I had to choose the place because of availability. Lots of parking. I can't think of anything else worth mentioning. I think it's over priced. No gym. No pool. Restaurant only open for breakfast. No room service. There's so many No's that I've started to think that a motel in a shop lot would be an equivalent choice in term of facility and would be much more cheaper. location is the only pros. 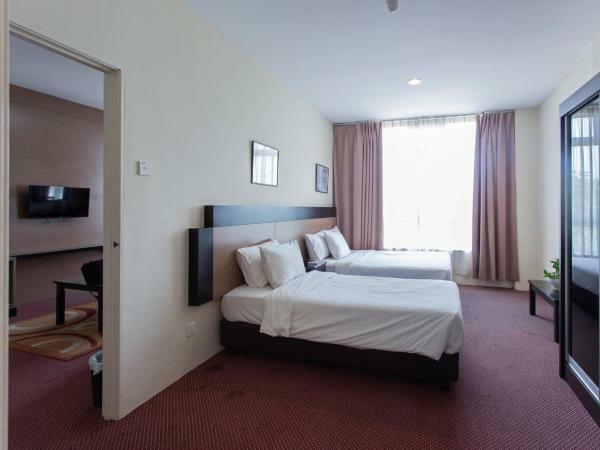 Stay for 2 days 1 night at World Youth Hotel, choose this hotel simply for its location as it's strategically located near to Ayer Keroh Tol and easy access. However, it's not value for money and it's over priced. Can get a better accommodation for same amount paid. Comes with double bed with extra pillow. Space wise is OK and satisfactory. Parking lot is spacious and many parking lot. Location is little bit hidden but not far from MITC (Around 5mins driving). The downside: Equipment is not very well equipped. No kettle & no iron provided inside room. Hot water is available at corridor and Ironing Room at the opposite of it. The water heater for shower is leaking. In one of the room, remote control for aircond is not working and no switch for ON/OFF. Cleanliness can be (and should be) improved especially in the toilet. strategic location and easy access. clean room. for ladies traveller, this hotel location is quite safe. its our second time here. don't compare with four star hotel and above. overall, satisfied. Free parking. Great for budget traveller. Nearby highway.. Clean roow. Good for short stay.